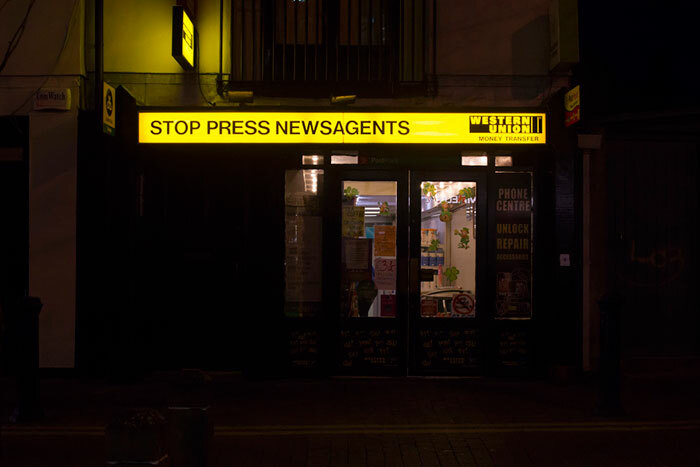 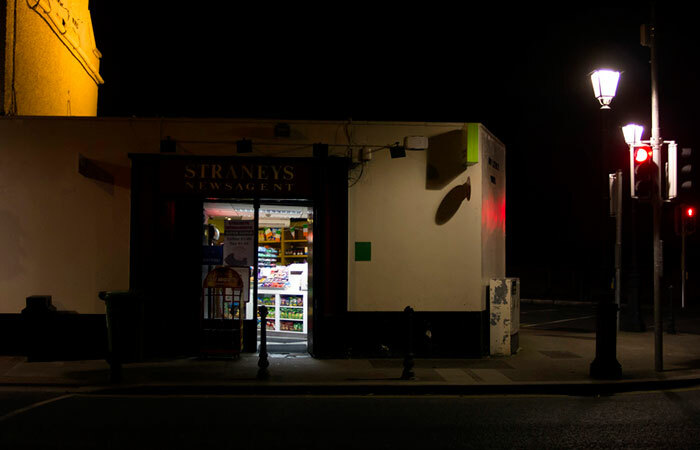 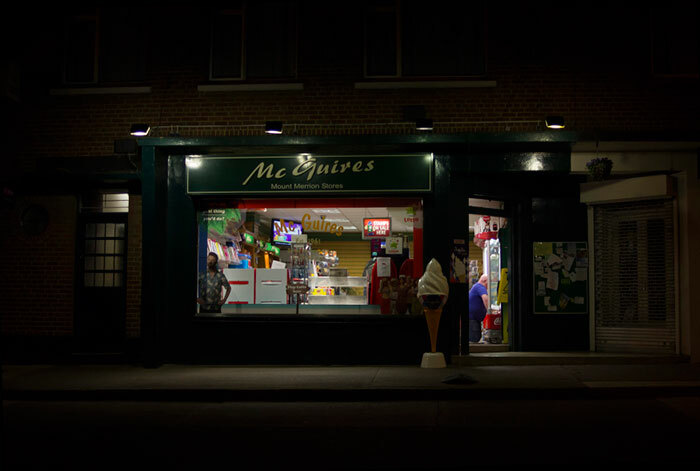 Photos of corner shops and independent newsagents at night by Dublin-based photographer Cale Perrin. 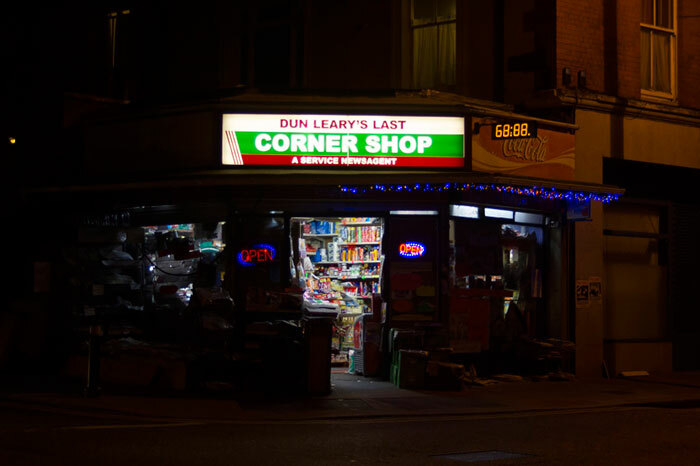 Similar to a 7-Eleven, the local convenience stores are increasingly meeting competition from the bigger chain stores and a lot of them struggle to survive due to constant pressure from the government, banks, and wholesalers. 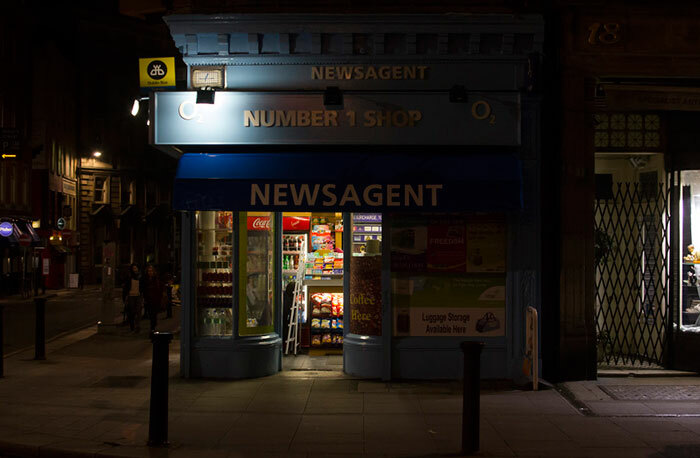 The project involves documenting independent newsagents and corner shops after dark. 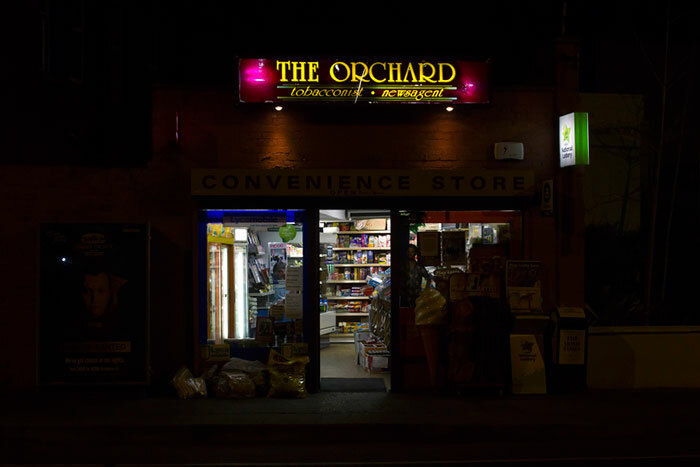 I have a fascination with these places, which project an aura of warmth and welcome into the cold Irish night. 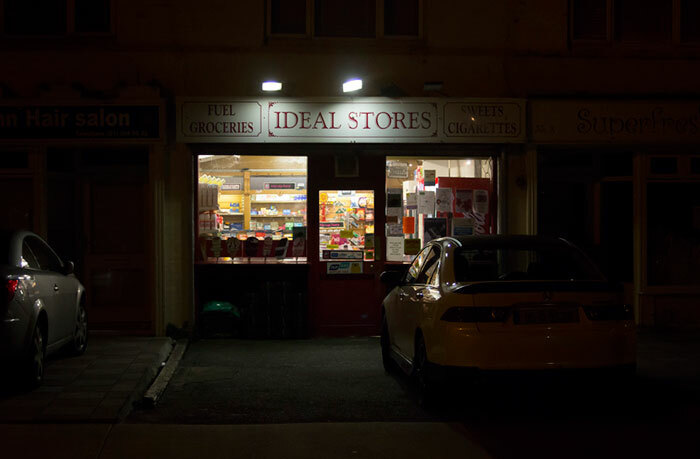 They are important in local communities, representing an alternative to chain stores, and selling oddities found nowhere else. 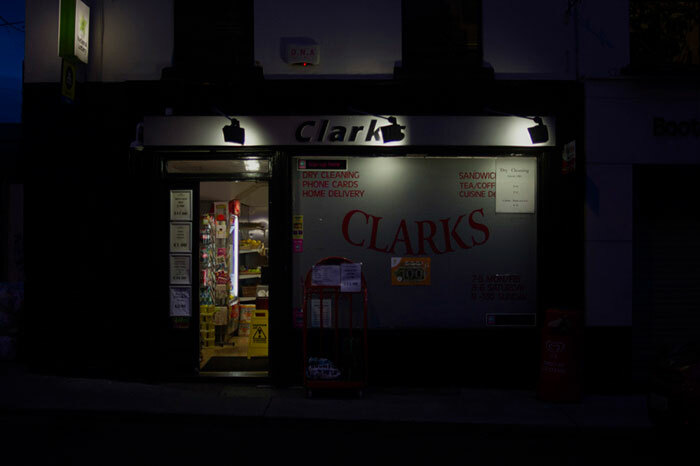 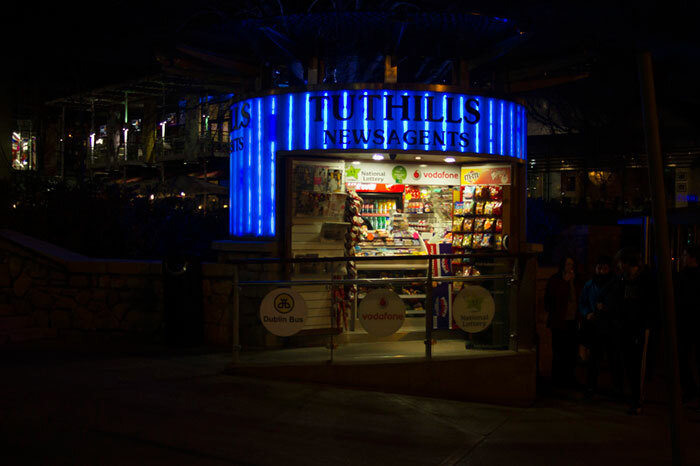 Photos of corner shops and independent newsagents at night.